Gerda Erhardt and her younger sister grew up in Magdeburg. Their parents had a restaurant at the garden colony near the airport, which they ran themselves without the help of additional employees. Her father would have liked Gerda to become a shoe salesperson, but that did not appeal to her. Instead, at fifteen she found herself an apprenticeship in the field of optics, radio, and photography. Her instructor had decided he would let her give it a try. He was quite surprised that a female would be interested in such things. By the end of the 1920's, her training completed, the skilled photographer and laboratory worker had no trouble finding work, in spite of record-high unemployment in Germany. Photographers learned through health resort offices [Kurämter] about job openings in seaside or mountain resort towns. In this way Gerda Mendl found work as a photographer and laboratory worker in Swinemünde, the international spa on the Baltic coast. Her future husband had a photo shop in the town and hired her to work in his laboratory. They married in 1935; by 1940 they already had four children. Gerda’s mother-in-law took care of the housekeeping; this was the only way the young mother could remain employed with such a large family. In late summer 1939 Gerda was sitting on the beach with a radio, when the sudden news came of the beginning of the Second World War. In that same year her husband was drafted into the army. From now on she alone was in charge of the photography shop. The first major air attack against the town of Swinemünde took place in 1943, and on top of that Gerda Mendl came down with scarlet fever. When her house was totally destroyed by a bomb in 1944 she left Swinemünde with her children. Travelling in a freight car on a train which was targeted by low-flying planes, she finally made her way to Fallersleben in 1945. The refugees were divided up as they arrived; Gerda Mendl and her children were sent to Neindorf, where the populace grudgingly took them in. For three days she sat with her four children—the youngest was four years old—beneath an oak tree before she was given two rooms at a farmer's. A friendly villager found her provisional housing which had been occupied by foreign workers until 1945. She cultivated the land around the shack and raised pigs, ducks, chickens, and rabbits. She bought feed in the potato-powder factory and was given garbage scraps gratis. In the postwar period schnaps was of course distilled illegally, and people stole turnips, fruit, wood, and coal—and Gerda Mendl took part in everything. Once she even had a run-in with the police and was arrested. Although her children were still small, Gerda Mendl tried to obtain work in the Volkswagen factory from the very beginning. At the time all employees in the plant had to stand while working. The factory bus, which also went to Neindorf, was prohibited for safety reasons from taking on additional passengers. There were no other means of transportation to the VW plant. Even the mayor of Neindorf tried to intervene with Volkswagen on behalf of Frau Mendl. But it was very difficult at the time to find jobs for women at Volkswagen. Finally, in 1956, her constant pressure paid off; she was given a job in the press works (Presswerk), one of the most disliked locations because of the extreme noise and strong drafts. She and her female colleagues were assigned without exception to the lowest wage group. 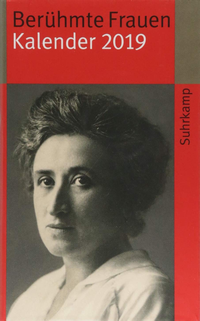 Mendl was elected shop steward (Vertrauensfrau) of the press works. As one of the disadvantaged, she criticized the unequal wages of women and men. Men handicapped by war injuries were paid better than women, although they required the women’s help to do their work in the first place. Everyone worked on the assembly line, and the department for standards established wage categories for the work: women received wage-group 1; men doing the same work received group 3. Mendl obtained an official statement of pay-rate for particular job descriptions and campaigned for equal pay for equal work. Because of her efforts the women finally received more money. In 1963 Mendl was elected to the works council (Betriebsrat) and continued in this position till her retirement in 1975. The union provided training for representatives to the works council. In the 1950's, during the years of rebuilding, there were only four women in relatively high positions at the factory: Frau Schömers as head of the food service; Frau Spiegelhauer, in charge of hiring female personnel; Frau Dr. Gericke as company physician; and Gerda Mendl as member of the works council. After 1963 the IG-Metall (Metal-Workers' Union) Women’s Committee was established. As a representative to the works council Gerda Mendl was also a member of the Committees for Personnel, Housing, Security, and Food Service as well as having a position in the management of the health insurance department. In the 1960's the meetings of the works council took place outside of working hours; in the 70's they were held during working hours. For years Gerda Mendl organized various study trips for the female shop stewards to Sweden, which was considered the model for social progressiveness. The women visited companies, studied the social policy which had been enacted in Sweden, and discovered to their astonishment that in many Swedish families the wife went to work while the husband stayed at home and took care of the children. Gerda Mendl saw to it that a number of improvements for women were made: thanks to her efforts departments which had a large number of female employees now trained and appointed women as master workers and forepersons; married women also were hired and given appropriate positions; women in jobs with lengthy periods of heavy labor were allowed frequent transfer; and during the last months of their pregnancy expectant mothers were given a job where they would be spared the glances and comments of the male workers. Mendl also fought to keep stores open later once a week so that mothers would be able to do their shopping more easily. The things that she campaigned for during her time at VW had been unavailable to her when she came to Wolfsburg with her four small children. She had received no social support or welfare in 1945. For this reason it still bothered her years later when people complained in spite of generous social assistance. “Our citizens are spoiled,” she would say. Women in her day would never have complained about the double burden of housework and employment. They were accustomed to working hard. After the war they lost everything; they had to pull themselves together and make a new life. Gerda Mendl herself had had to saw and chop wood before her early shift so that her children would be warm. In her later years she had the impression that social welfare offices were not conducting adequate reviews to determine whether social assistance was truly justified in every case. “That is a bad thing,” she explained. The chairman of the works council during Mendl's 12-year tenure was Hugo Bork, a well-known Social Democrat and mayor of Wolfsburg for many years. “In those years most of the improvements for the workers were successfully fought for,” commented Frau Mendl. “Nowadays the position of the works council and union is significantly different, because much influence has been lost,” she added regretfully. After her husband returned from the war Gerda Mendl obtained a divorce and did not enter any further partnership. “I had no time for a man; besides, I had my children, you know.” The younger children were cared for at the time by her oldest daughter. Neighbors also helped out. Such arrangements used to function very well. Gerda Mendl remained close to her children throughout her life. After her retirement she kept busy and content visiting with old friends, cooking and baking, and doing handiwork. She also enjoyed flowers, walks, and nature studies. She followed current events with lively interest and took a stand on issues of the day. Her passion for justice stayed with her to the end. From: Frauen in Wolfsburg – EinBlick in ihre Geschichte (Women of Wolfsburg—InSight into Their History), 1998. 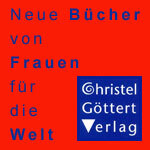 Published by Stadt Wolfsburg, Frauenbüro. ISBN 3-87327-031-5. Revised for FemBio by Luise F. Pusch. Trans. Joey Horsley. If you hold the rights to one or more of the images on this page and object to its/their appearance here, please contact Fembio.